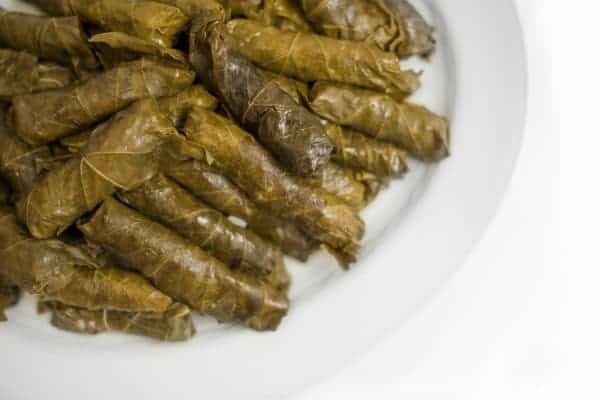 Very popular in several Mediterranean countries as well as a family favorite, these Lebanese stuffed grape leaves are filled with meat, rice and lemon juice. If I could design the perfect neighborhood restaurant, it would feature the menu above written by my Aunt Paula. After receiving a late-Summer batch of kousa from her younger sister (my mom), Aunt Paula decided to make an entire feast of our favorite Syrian dishes. It started with stuffed kousa, then she decided to make grape leaves. And while she’s at it, how about some cabbage leaves? 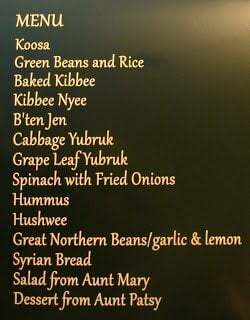 Baked kibbee might be nice as well. What about stuffed eggplant while we’re at it? Of course, you can’t have a dinner without Syrian rice and salad. Who will bring dessert? Last weekend family and friends poured into Aunt Paula and Uncle Randy’s home for an evening full of food, laughs and full stomachs. Long story short – it was one of the most delicious evenings of my life. 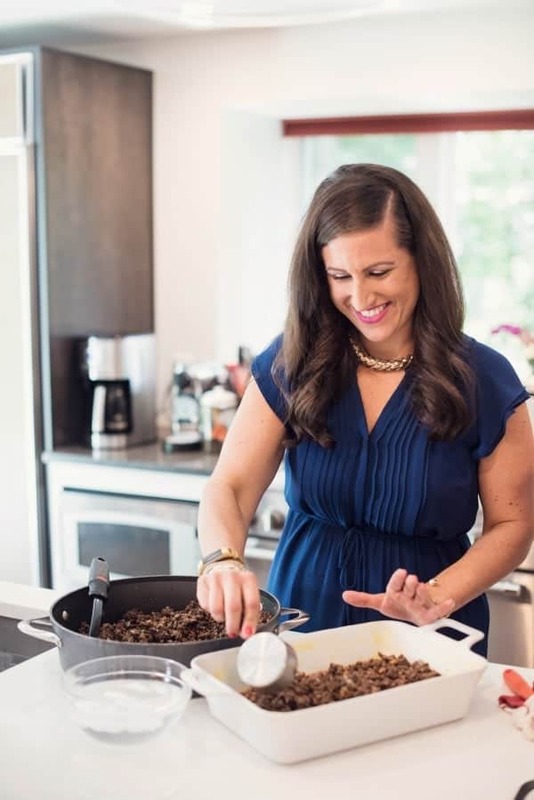 Aunt Paula is my Syrian cooking muse and I will always remember these amazing culinary adventures that explore our heritage. In the coming weeks, I plan to feature several of Aunt Paula’s recipes. Of course these are all my interpretation of her recipes because real cooks do not measure or weigh or write down recipes. We use a pinch of that, a pinch of this. And without fail, no matter how perfect and delicious the food turns out, Aunt Paula will never eat a single item during the meal. Nothing will ever taste right and nothing is ever as good as it should be. Oddly enough, when I prepare these dishes they never taste as good as Aunt Paula’s and I’m rarely that hungry by the time dinner is ready. I’m hoping that means it came out perfectly. 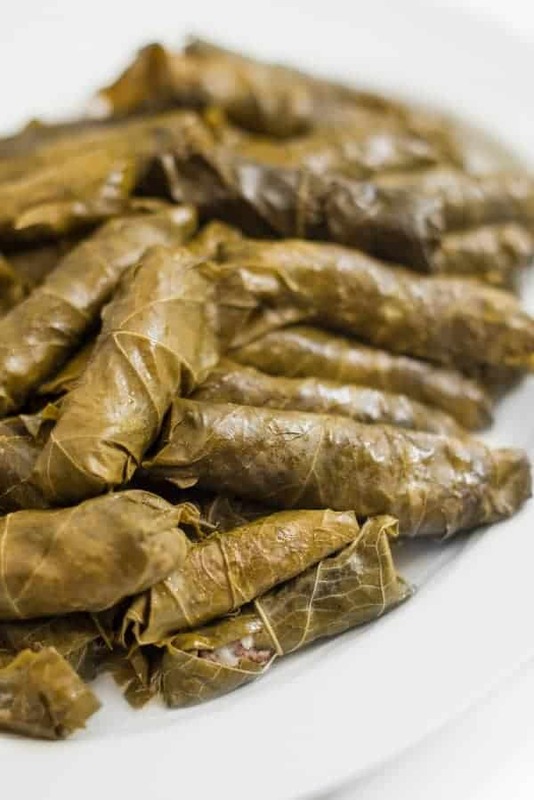 Very popular in several Mediterranean countries and a family favorite, these Lebanese stuffed grape leaves are filled with meat, rice and lemon juice. Line a large pot with celery ribs and loose cabbage leaves. Remove any hard stems from grape leaves and place on a plate. In a large bowl, combine ground meat, rice, the juice of 1 lemon, salt and pepper. 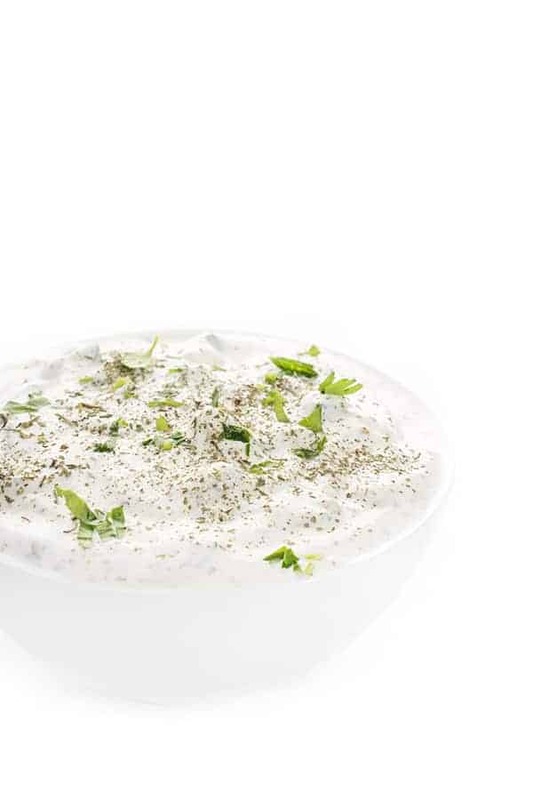 One grape leaf at a time, place the leaf flat on a plate and add 1 tablespoon of meat and rice mixture near stem. Form meat into long cigar shape then roll the grape leave starting at the stem all the way to the top. No need to fold in sides but you can if you wish. Line rolls in pot, alternating direction with each layer, until the pot is filled ¾ of the way or you’ve used all your leaves. Cover grapes leaves with a small plate turned upside down to keep them from moving and to weigh it down. Add juice of second lemon and then cover with water until grape leaves are covered. Cover pot with lid and bring to a boil on high. Reduce heat to low and simmer for 15 minutes before serving with plain yogurt or cucumber laban if you wish. I just found your recipes! They all look delicious and so similar to the ones we make and that Grandma always made. I was happy to find your Lebanese spice recipe. I plan on making it in bulk to use! The ladies in my family (3 generations) get together to cook, laugh and make wonderful memories together. Thank you for your yummy recipes and prep tips! Awww that makes me so happy!!! I love cooking with multiple generations of my family too! Love that you do that. Thanks for writing! Hi Chris, My grandma use to use regular grape leaves picked off the vine but I always buy store bought. Sorry I can’t be more of a help! How much vinegar/salt ratio is used for grape leaves? I have my own leaves. It isn’t nasty like greens or slimy like cabbage is it? 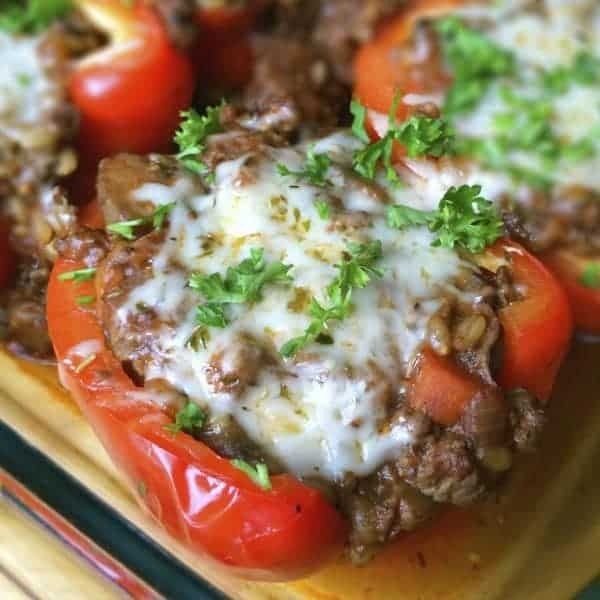 Stuffed peppers (chili rellenoes) is good. I’m an oven , uh, I’ll pass. But fried or a breaded baked version is good. A little vinegar on boiled or bake potatoe and it’s a new dish, yummy. Maybe 1/2 a capful for a big tater to introduce you to it. NOw tell me what I’m supposed to expect of taste and texture of grape leaves, please. Grape leaves have a nice crunch to them, not as hard as cabbage but not soft like spinach. They’re not slimy at all. They’re so good I urge you to try! For salt just follow the recipe and no vinegar just lemon juice. Enjoy! I’m so happy our local grocery store featured your blog on fb. I can’t stop making hushwee, it’s so good! Do you have a recipe for batata harrah? I’ve searched for years but can’t find a really good one like the one my favorite restaurant makes. Oh I’m so happy to hear that!!! I’m not familiar with Batata Harrah? What is it? Spicy potatoes. I didn’t realize I commented on the wrong recipe, sorry. I’m making your grape leaves right now. I can’t wait! Anything you know about it, would be greatly appreciated. Thank you for your wonderful blog!!!!! Loved your comments and recipe’s. Lebanese food is such delicious food and healthy too! Thank you for sharing! Merrr Christmas to all ???? I’m so glad you enjoy it Sophia! I think I’m going to make these grape leaves soon! Yummy! I’ll have to try your version. I do mine with lamb and have the leaves lay on a bed of rhubarb and lemon slices. 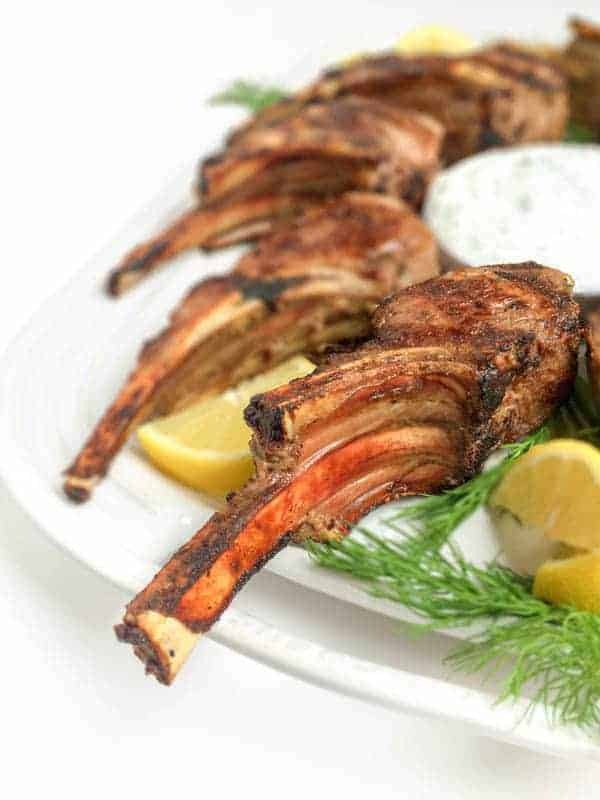 Yes we do lamb too – that sounds amazing with the rhubarb!! Happy Holidays! We make a version of this every year. I remember when I was a little girl, driving in the car with my grandparents and all of a sudden, we would be pulled over on the side of the road. There go my grandparents, picking grape leaves off of a tree in someone’s yard! How embarrassing then…what a sweet memory now. Love fresh picked grape leaves!! Where can you find grape leaves? 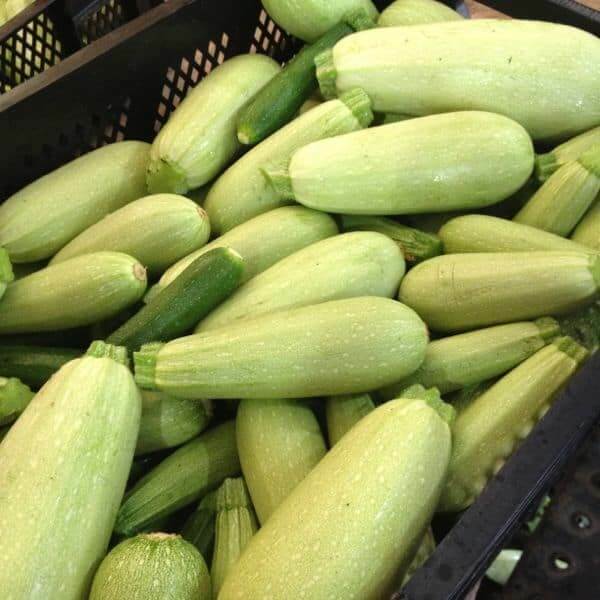 Large grocery stores carry them (such as Meijer) but I get mine at Middle Eastern or International specialty markets. You can also buy online! You can always search the web…but better yet pick your own wild grape leaves. Just after my birthday in mid July, is harvest time. You want to get while they are still tender. Check the roadsides where you will see climbing vines. A large garbage bag and a pair of scissors are useful. Snip the stems close to leaf. When you have collected as many as able,return home. Bring a large pot of water to a boil. Put the grape leaves to blanch for one minute. Remove leaves with tongs and plunge into cold water. They will stink like cat pee. I pack them in a large jar of brine and vinegar and store in spare refrigerator for as long as two years. I lay out 30-40 leaves and roll them like a cigar and place vertically in jar, making sure brine covers them. To use, remove & unroll and rinse off brine. Yes my family does this often!!! Great tips! I pick wild grape leaves, stack 50 (50 for every 1 lb. ground meat) and place in a quart size freezer zipper bag, then freeze. When I’m ready to use them I cut the bag off because the edges may be brittle when frozen, place them in a 9×13 baking pan and pour boiling water over them. They immediately revive to their fresh color and quality and I don’t have that jarred briney taste. Ahhh my mother always had fresh grape leaves also!! I’m envious! Thank you for the sweet words. I'm honored.